I had the blessing of having my grand children stay with me over the Christmas holidays and my youngest one loves to do arts and crafts. 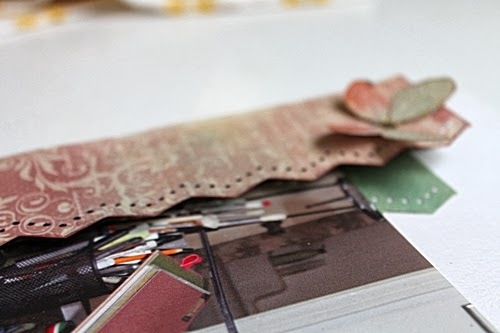 I managed to get this picture of her "prepping her page with Gesso"
I did this layout for a challenge at the Flying Unicorn to have at least three items including paper "popped up off the page" and for a challenge at Scrap, Paper, Scissors to use the first letters of your birthstone on a layout. 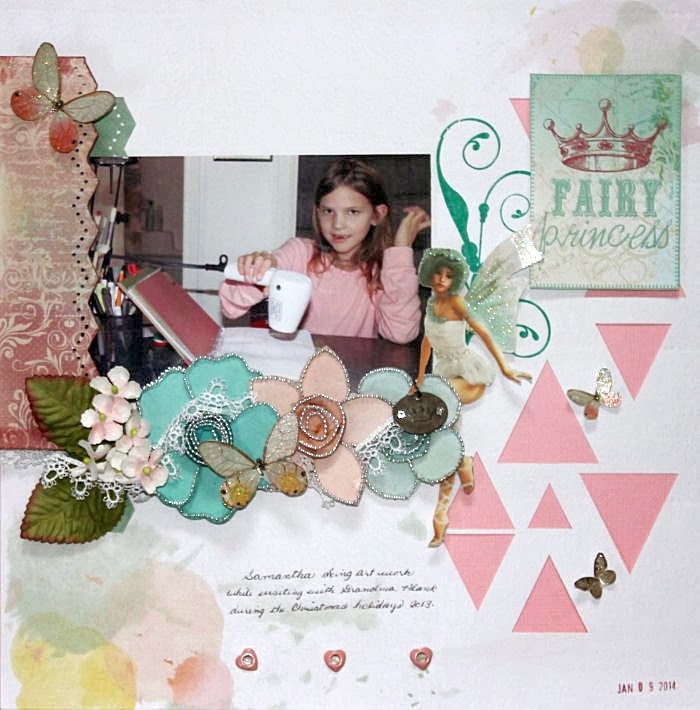 I used a mix of patterned paper from Pink Paislee Color Wash and Kaiser Craft Enchanted Garden. 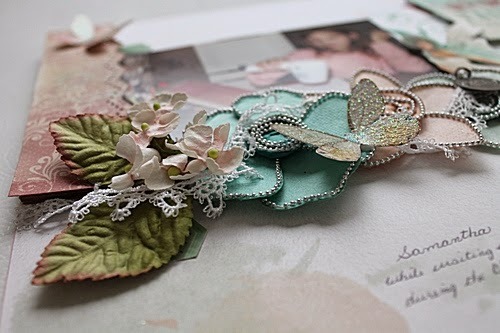 A Martha Stewart Edge Punch, Bo Bunny Rub-on, Prima flowers, lace is unknown. Here are some close ups... please remember you can click on an image to see a larger picture. Jackie this is awesome!! Fabulous LO. Very pretty and such a fun picture! Thanks for linking up over at SWAT!! I love the triangles on this. Thanks for sharing with us at SWAT. Love your triangles. 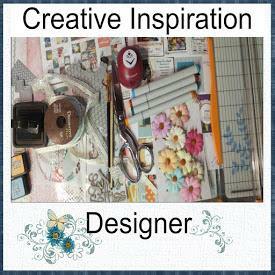 You did a great job with the embellishments. Gorgeous. Thanks for linking up to SWAT. love all the popped up elements. 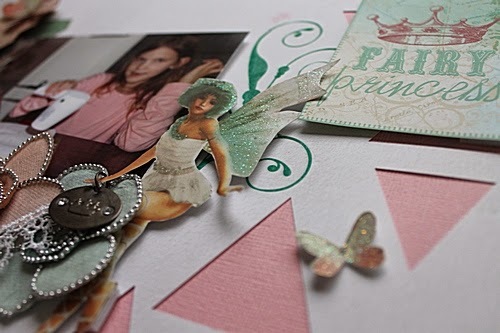 I just love that Kaisercraft fairy :) Beautiful LO!Thank you so much for playing along with us at S.W.A.T!